House Obamacare repeal: Why the GOP may finally be ready to offer an Obamacare alternative. Is the GOP Finally Ready to Offer an Obamacare Alternative? An agency helps enroll people in health insurance plans under the Affordable Care Act, on Feb. 13, 2014 in Miami, Florida. House Republicans on Tuesday—once again—passed legislation aimed at killing Obamacare outright. The 239-186 vote marked the fourth time that the lower chamber has moved to repeal the law in its entirety since the GOP took control of the House in 2011. And, as Democrats are always quick to point out, Republicans have held roughly four dozen other votes during that time to weaken the president’s health care reforms by removing or tweaking key portions of the law. Groundhog Day–themed jokes aside, though, Tuesday’s vote wasn’t a complete rerun. The most important difference: Republicans coupled the repeal portion of the legislation with something that at least sounds like a promise to finally craft an alternative to replace it. That’s what the GOP has been campaigning on for the past three elections, of course, but to date such efforts haven’t gone much beyond lip service. The House vote won’t necessarily change that, but it does suggest that Republicans are starting to feel the pressure to do something. 2013 is not 2015: The last time the House voted on a full Obamacare reform was May 2013, months before open enrollment began. At the time, Republicans were making their anti-reform stump speeches to Americans who had not yet had the chance to see Obamacare in action. An estimated 7 million Americans secured insurance through the federal exchanges in 2014, and another 9.5 million people have already signed up for coverage in 2015. That makes the GOP sales pitch significantly more difficult, unless they can paint a picture of what a post-Obamacare insurance market would look like for those people who would lose their newfound coverage under a repeal-only plan. Republicans now control the Senate: New majority leader Mitch McConnell finally has the power to bring a repeal bill to the floor. (On Monday, McConnell signed on as co-sponsor to Sen. Ted Cruz’s repeal bill.) Doing that would force Senate Democrats to play spoiler and filibuster the effort, but that only works in Republicans’ favor if they have an alternative plan. If they don’t, Democrats can just deflect charges of obstructionism by pointing to the lack of a conservative alternative. SCOTUS is watching: Congressional Republicans are eager to show American voters that they can govern. But perhaps more important in the near term for the party is convincing the Supreme Court of the same thing. 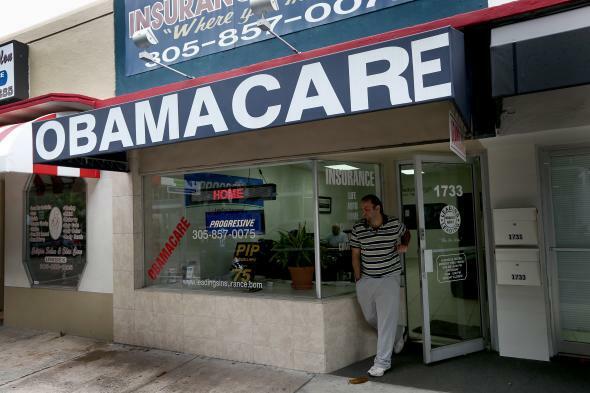 The high court is set to hear arguments next month in King v. Burwell, a case that will decide whether people who got insurance through the federal exchanges can keep their subsidies. Republicans are hoping that the justices rule against the law, dealing it a potentially fatal blow. As Politico points out, though, some conservatives fear that the Supreme Court won’t be willing to risk the chaos such a ruling could prompt in the insurance market unless Republicans have made it clear they’re willing to step in and right the ship. Again, none of that means the GOP is ready to go on record with a specific plan to replace Obamacare. As this latest effort makes clear, House Republicans would rather promise to try to come up with an alternative tomorrow than to actually offer one today. Still, for a debate that’s remained largely frozen since 2010, perhaps that’s what progress looks like.